EAT+SLEEP+MAKE: Stuff Your Stockings GIVEAWAY! Hope everyone had a great weekend! Isn't it crazy to think that Christmas will be here in only a couple short weeks? Yikes! 1. Retro Cassette Tape Wallet - Lucy with Craftberry Bush 2. Can It! Mason Jar Dishtowel - Bev with Flamingo Toes 3. 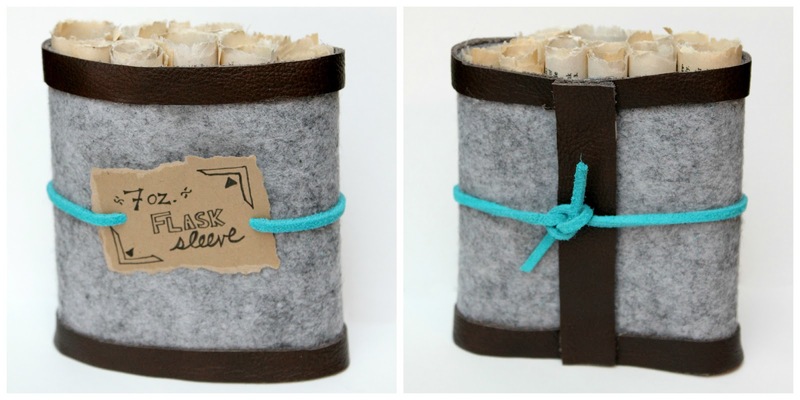 Leather and Wool Flask Sleeve - Shannon with Eat. Sleep. MAKE. 4. Make Your Own Coloring Book - Rachel with Maybe Matilda 5. The Little Things Purse - Jen with Eat. Sleep. MAKE. Shannon and I are so lucky to have such wonderful, supportive readers. We started Eat. Sleep. MAKE. less than 4 months ago, and we've appreciated every comment and email we've received from each of you. We wanted to give back to YOU this holiday season, so we decided to do that by giving away some of the things that we've made! 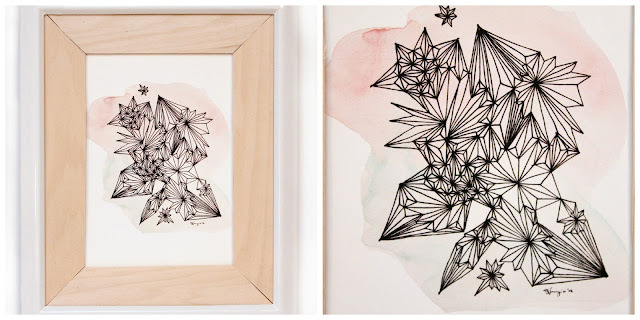 One lucky reader will win one of Shannon's amazing illustrated geometric drawings with her wood matting (tutorial for the wood matting found HERE), three of Jen's knotted suede bracelets, one of Shannon's leather and wool flask sleeves, and Jen's "Little Things" Purse . Consider them our gifts to you for being so awesome and supporting us! Are you excited to win all this awesome stuff?? Just enter by using the Rafflecopter widget below. We love all of you, but the contest is open to US residents only (darn expensive shipping!) and you must be a follower to enter because we want to reward our readers! (You can follow via our GFC widget in our sidebar, through subscribing through email, or by subscribing to our feed)! The contest will run through midnight EST December 13th and the winner will be announced here on the blog on December 14th. Good luck everyone! This is such a generous giveaway! What lovely goodies. Thanks for the chance to win. 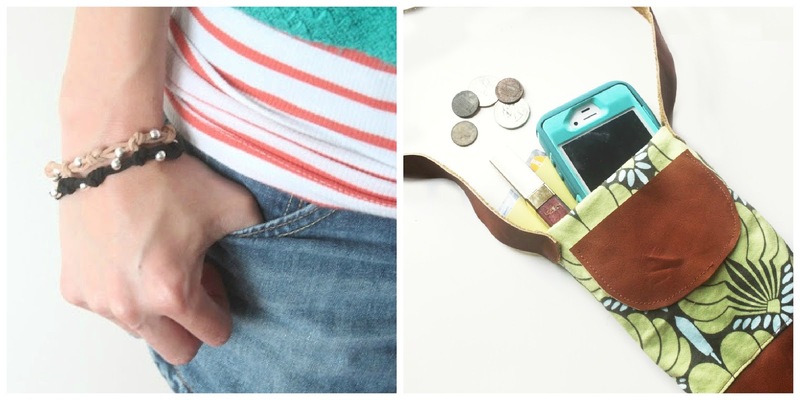 Though I adore the purse, I'd love love LOVE to have a flask cozy for my husband's stocking! He'd get so excited for it! Thanks for such a fantastic giveaway!!! The knotted bracelets are definitely on my list - I love jewelry making! Thank you for the chance to win! I need the little things purse! I have followed you both at this site and the former. The knotted suede bracelets are my favorite and that of my 9 year old granddaughter, Lily. Thank you for hosting this giveaway. Regena in TN. 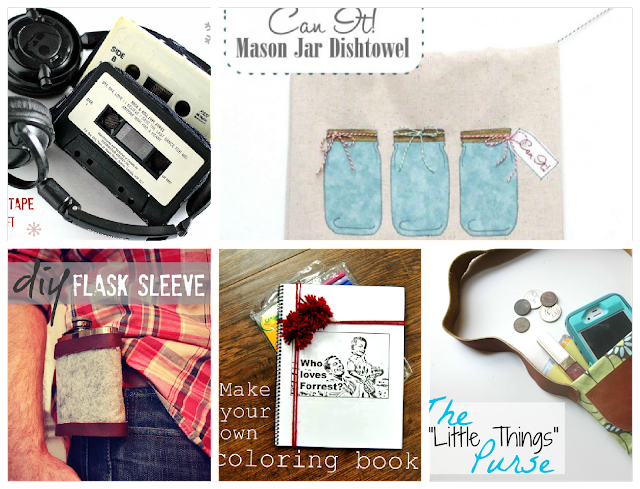 The Little Things Purse was what led me to your website in the first place--thank you, Pinterest! Love this one! Love your little snowglobe idea. I love the purse. Thanks for the giveaway!! I am in love with the tree necklace. I will be making these as gifts for christmas! Thanks for the great idea! You guys ROCK! Oooh! Ooh! Pick me, random generator, Pick MEEeeeeEE! Love the tree necklace idea.